It’s present-day technology with a Jetsons flavour, and if you deploy it the right way it can make your day-to-day life a smidge easier. Self-parking systems - which help you slot your car into a parking space at the push of a button – might seem like a bit of an indulgence, but for those with large cars or a fear of parallel parking they can be a godsend. But how do these systems work, and what do you need to know about them in order to get the best result? Read on. Okay, let’s start with the easy stuff. It’s pretty self-explanatory: self-parking systems enable the car to park itself. Not all of them are created equally though, with some only able to simply steer the car into a parallel park (with the driver working the accelerator and brake), and other more sophisticated systems able to do the whole procedure without any driver intervention whatsoever – and are able to deal with parallel parks, 90-degree parks and angle parks without a problem. You might think that self-parking cars are the realm of the luxury segment, but not so. The technology hasn’t taken long to trickle down to mainstream vehicles, and manufacturers that offer self-parking systems in their road cars include the likes of Ford, Volkswagen, Hyundai and Holden. Of course there are plenty of luxury carmakers on the list too, with Mercedes-Benz, Lexus, Audi, BMW and more offering the tech. Read next: Are electric vehicles and hybrids good for towing? Want the quick version? Watch our instructional video above. Simply put, the system uses a range of on-board sensors to gauge the size of car spots as the vehicle drives past them. The parking sensors (sometimes with a dedicated side-facing sensor) are the principle sensor used, while some cars also combine the electronic ‘picture’ assembled by the parking sensors with an actual picture from a camera (or cameras). If the system calculates that there’s a space big enough for the car to easily park itself, it’ll alert the driver and obtain their permission to commence the manoeuvre. Activate the system, usually by pressing a button on the dashboard. Some systems will self-activate if you coast forward at a low speed, but that’s not universal. Consult your manual. Once running, the system will begin scanning areas to the side of the car to see if it can detect a spot. Some vehicles may require you to tell it whether it should be looking for a parallel or a 90-degree (or other) type of space. When a space is detected, you should receive a prompt on the dashboard or infotainment screen asking you to authorise it to commence the self-parking function. 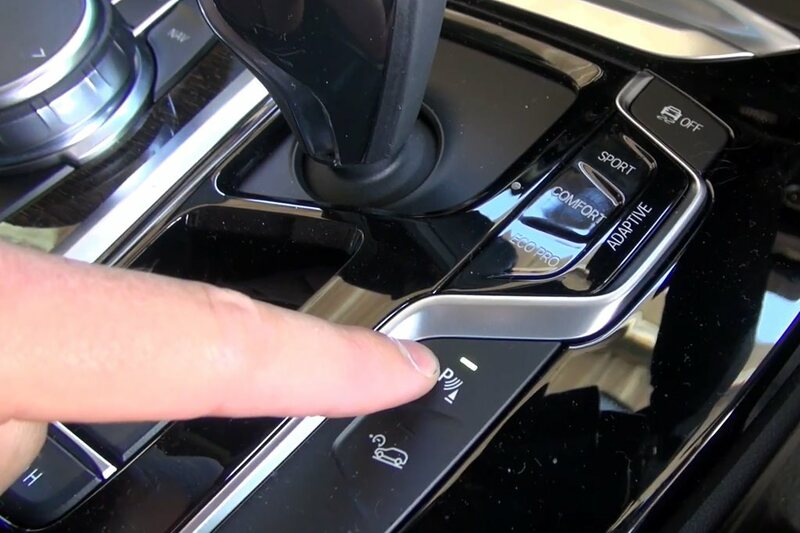 Depending on the car, this may then require you to shift into reverse and control speed with the accelerator and brake as the car works the steering for you. Other systems are entirely automated, and able to control your speed and self-brake without your intervention. It can be spooky watching your car drive itself while mere centimetres from other vehicles, but if you ever get the sense that contact with another car or the kerb is about to occur just hit the brake! This will cancel the manoeuvre, and you can either start again or continue manually. Always be on alert – the sensors may not be able to react in time if, say, a pedestrian or animal decides to walk between your car and another while self-parking is in progress – keep your eyes up, this feature isn’t there so you can start playing with your phone! Once completed the car should give you another alert to say it’s now safe to put the vehicle in Park and switch it off. Do self-parking cars actually work? The video proof is at the top of the page! Earlier systems were a little less reliable – and sometimes prone to kerbing a wheel – but the technology is at a fairly mature stage these days. That said, they do perform differently from model to model, so it’s something you’ll need to test in a safe area like a quiet carpark before you try and use it on a busy street or crowded shopping centre.